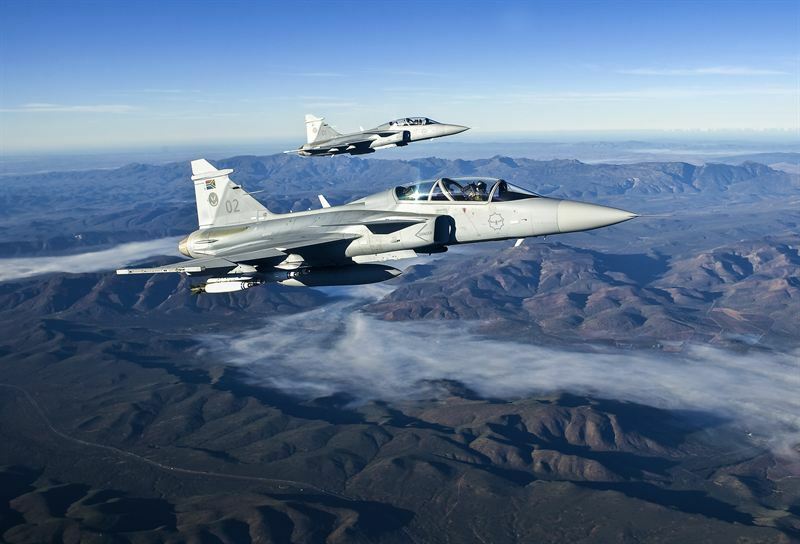 Defence and Security company Saab announced that the Gripen E Smart Fighter flew supersonic for the first time. The aircraft broke the sound barrier over the Baltic Sea on the 18th November 2017. The Gripen E Smart Fighter flew at speeds greater than the speed of sound, at over Mach 1, as part of the ongoing flight trials programme. The purpose was to collect data from the aircraft as it achieved and sustained supersonic speed. The flight took place over the Baltic Sea and the aircraft sustained supersonic speed for a number of minutes, whilst carrying out manoeuvres, demonstrating the successful combination of the aircraft’s fighter design and its powerful engine. “As Gripen pilots we are used to extreme speed, but to go through the sound barrier for an aircraft’s first time is still a moment to enjoy. It is important that the aircraft handles the transition smoothly through what we call the transonic zone around the sound barrier and she certainly did, it was very smooth,” said Marcus Wandt, Test Pilot, Saab. Welcoming the news, Jonas Hjelm, Senior Vice President and Head of business area Aeronautics said, “Individual milestones such as this supersonic flight demonstrate the thoroughness of our engineering approach and the validty of the modelling. It is further evidence that the Gripen E Flight Test Programme is going extremely well, whilst the delivery schedule to our two customers remains our key focus.” This milestone has been preceeded by over 20 flying hours since the first flight back on 15th June 2017.